Pich Chea wakes up every morning before rush hour and parks his tuk-tuk among the long line of fellow drivers who wait patiently for customers outside the FCC restaurant in Phnom Penh. The area used to be a hot spot for business with a steady flow of foreign clients. But now, Pich Chea spends most of his day lounging on the back seat of his vehicle, keeping a beady eye out for a potential ride—another example of the long reach of the global financial crisis. The downturn in business has come as a shock to Cambodia’s tuk- tuk drivers, who had grown used to the increasing abundance of visitors to the country, which rose from 1 million in 2004 to 2 million in 2007, according to statistics from the Ministry of Tourism. Approximately one million visitors came to Phnom Penh in 2008. But in the second half of last year visitors started to tail off, a trend that is expected to continue through to the end of 2010, according to Min­ister of Tourism Thong Khon. 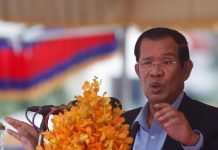 He said that Cambodia was trying to defend itself against the current dip in visitors from the US and Europe by advertising heavily in Asia. 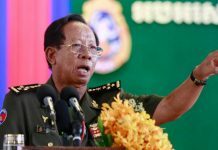 The idea is to appeal to people who live in neighboring countries as they are more likely to come to Cambodia than cash-strapped Westerners. Presently, 60 percent of tourists coming to Cambodia are from Asia, Thong Khon said. “All of us must struggle through this hard time together,” he said. Thong Khon added that the Ministry of Tourism will also call for hotels and restaurants to lower their prices in order to drive business forward. Pich Chea says his takings have fallen by 30 percent compared to this time last year and he now only earns about $10 per day compared to $20 the previous year. On average, tuk tuk drivers spend $1,000 to purchase their vehicles, owners said. Koen Qunthy, 27, a tuk tuk driver who lives in Phnom Penh’s outer suburbs said he was afraid he would be unable to pay his rent at the end of the month if earnings didn’t pick up. “I have seen it with my own eyes as the numbers of tourists have fallen away,” he said checking that the two Australian flags hanging from the roof of his tuk tuk were firmly in place. Another factor increasingly likely to put a dent in the tuk tuk’s profitability is competition from traditional taxis. Last Monday, Royal Group, the Cambodian conglomerate that owns the countries largest mobile phone provider, MobiTel, Cam­bodian Network Television and is a partner in the ANZ Royal Bank obtained a license for Phnom Penh’s second metered-taxi service. The introduction of more taxis to Phnom Penh will undoubtedly take business away from tuk tuk drivers. And with little financial support behind them, many in the industry say they fear for their livelihoods. Rek Sopheak, a tuk tuk driver who travels to work every day from Prey Veng province to Phnom Penh before sunrise said that he was extremely wary of the competition that derives from the heightened presence of taxis in the city. “If the introduction of a second taxi company to Phnom Penh means I cannot drive my tuk tuk, I will protest.” he said. Rek Sopheak said that he used to earn between 7 and 10 dollars a day before the decline in tourists began. Today he earns an average of between 1.5 and 5 dollars, barely enough to feed his wife and two children. Part of the reason tuk tuk drivers are finding it so hard in the current environment stems from the lack of organization in the industry. Unlike taxis, tuk tuks are privately owned enterprises where every driver is self-em­ployed. There are no official tuk-tuk ranks and, as of yet, no private investors willing to improve and professionalize the service. 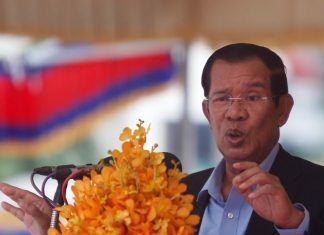 Rek Sopheak said he has no plans or ideas to improve his one-man outfit. “Sometimes I come out to work and cannot find a single riel,” he said.